This past weekend Mr. Lemon and I went to a yard sale benefitting one of our favorite local charities, Carol’s Ferals. Carol’s mission is to spay and neuter feral cats in West Michigan through Trap, Neuter and Release (TNR) programming. Because there are SO many cats in this country, it’s not possible to find them all homes, but if we can control their breeding, we can help reduce their numbers. One statistic that always sticks with me is that one female cat and mate can produce up to 11,000 cats over the course of five years. Astounding and sad! During their annual Second Best Sale, which covers three days, on the first day everything is marked full price, then on the second day things get marked down to half price, and on the third day most everything is fill a bag for $2! We couldn’t resist stopping by on the third day to see if there were any deals we could uncover while helping a great cause. We found a great selection of gently used (some look brand new) books, a basket I’ll use for the holidays, a murder mystery box set and a great lantern that I wanted to repaint. All for the steal of $2! 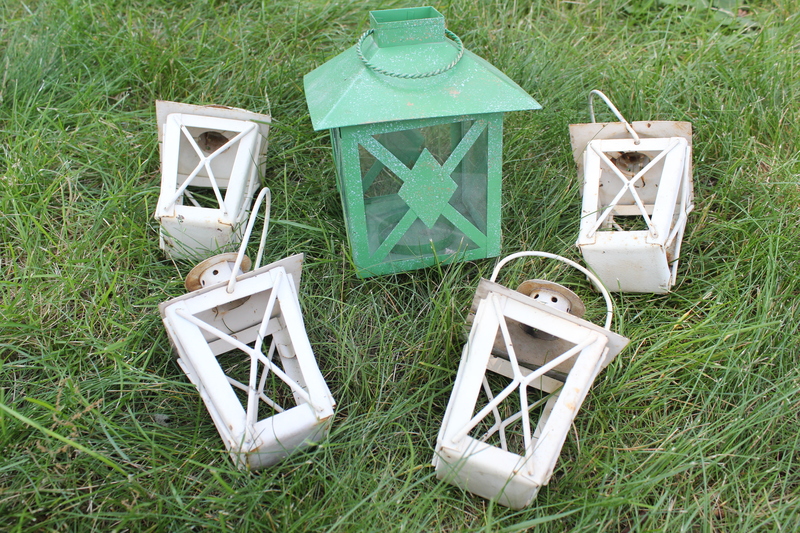 I had a collection of small lanterns from my neighbor (the same who gave me these…I guess my best frugal finds advice is move in next to my neighbor! Wait…don’t do that…then I won’t get anything!) 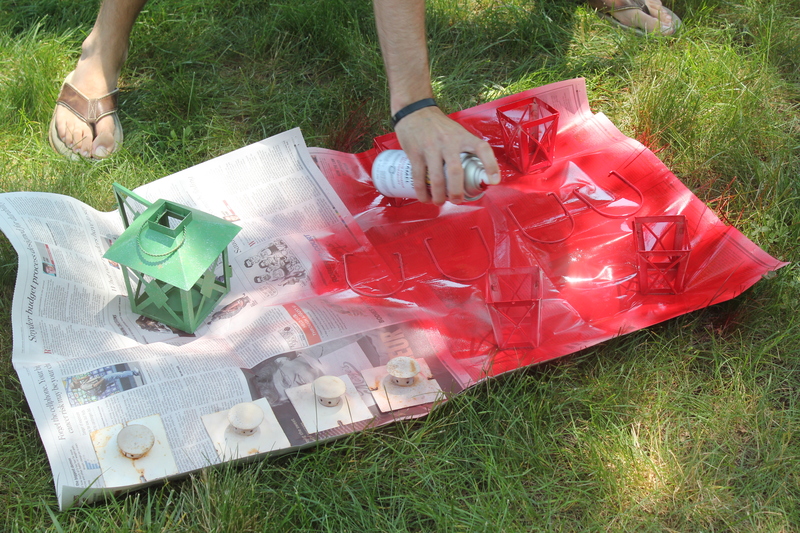 that I also wanted to paint red in anticipation of a 4th of July party I’m helping style, so we had a great project on our hands! Luckily, I already had some red spray paint from a previous (but failed…) picture frame painting project, so this whole project was ridiculously inexpensive! Check out the ca-razy paint job on the large one! It was green with gold and silver speckles! And then we Mr. 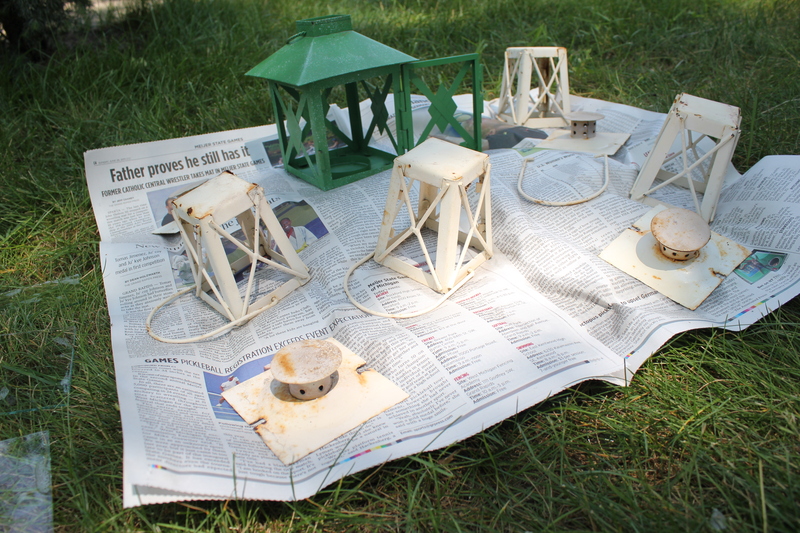 Lemon sprayed them with about three coats of paint, with about an hour between each coat. 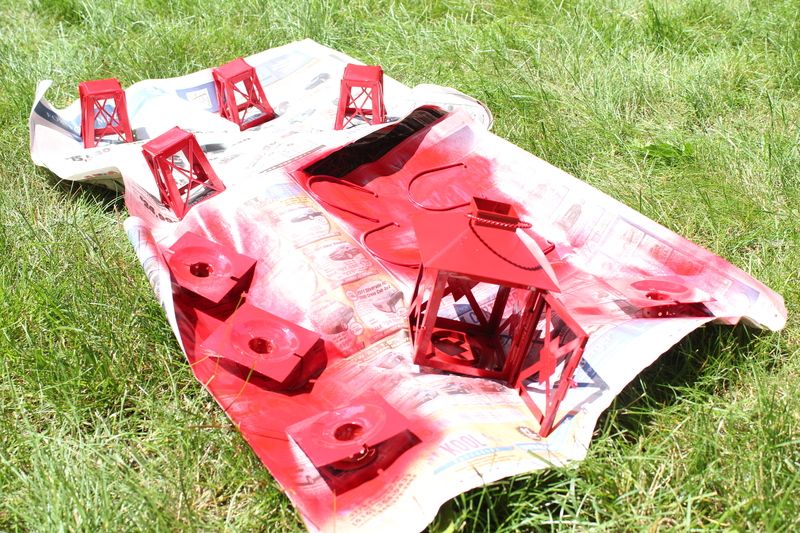 I don’t trust myself with a spray paint can…I am the reason for the last failure! But he gave me a few pointers, like keeping the can MUCH further away than I think I ought to (not 2 inches, really??? ), so maybe I’ll be bold next time. Plus, Mr. Lemon recently separated his shoulder and the third and last privacy panel is now on delay, so he was really just happy to make it on the blog again help. Then we let them enjoy a nice dose of sunshine (I joined them) to dry off. The finished product! I can’t wait to use them! What sort of frugal finds have you stumbled across lately? 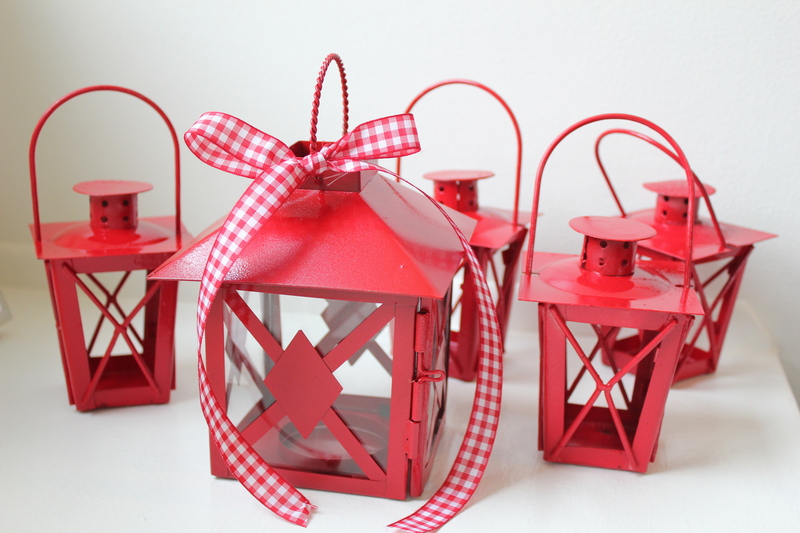 This entry was posted in Crafty and tagged 4th of july, crafty, frugal finds, outdoor entertaining. Bookmark the permalink.